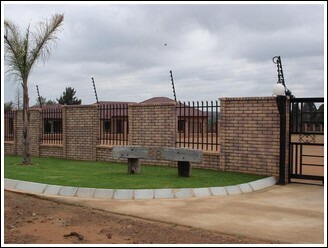 Products-> Brick Crete precast walls with Steel Palisade Inserts. Brick Crete precast walls with Steel Palisade Inserts. We can install a precast wall with steel devils fork inserts for you. By doing this we create a concrete wall that both look astatically pleasing as well as affording you a view. In today's age you want to be able to see what is going on behind the wall in specific areas.